It would be fair to say that Shaun O’Gorman has seen his fair share of violence and depravity throughout his life. In fact, more like 1000 lives worth… maybe even more. But it has not defined the man he has become today. Despite it trying its very best. 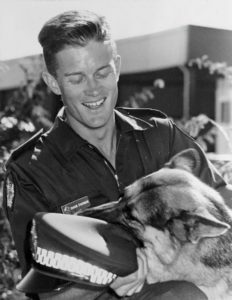 Shaun O’Gorman is a highly accomplished and recognised Retired Police Officer and former member of the Queensland Police Dog Squad, or K9 Unit. After joining the force at the tender age of 19, Shaun worked his way up to the K9 unit at just age 22. His normal ‘every day’ would consist of anything from violent domestic disturbances, armed hold-ups, vehicle pursuits or large brawls. Shaun also worked as a tactical dog handler with the Special Emergency Response Team (SWAT). Several years later he joined the Covert and Surveillance Unit working on Major and Organised Crime syndicates trafficking in narcotics and other serious criminal activities. A CAREER FULL OF HIGHLIGHTS YET NOT WITHOUT ITS PERSONAL TOLL. Shaun thought he was living his dream with every night filled with excitement, violence and the opportunity to push himself to his limits and help others. He loved his career. But it did not last. After a period of time, he realised that he was unfulfilled and becoming more angry, reactive and violent. He was in weekly fist fights and was encountering more and more violent offenders. He actively sought out confrontations as he became more and more addicted to the adrenaline and the opportunity to prove he was tough and fearless as a way to try to manage the significant impact his career was having on him. Shaun left the Police when he was 31 and began a very dark time in his life. He had lost the career, his identity and felt like a failure. The violence and depravity he had seen human beings perpetrate against each other meant he lost all faith in humanity. He suffered Post Traumatic Stress Disorder, clinical depression, drank excessively, was very angry and came extremely close to suicide many times. Many appointments with psychiatrists and psychologists followed. But there was one problem. They could tell him why he was the way he was, but NO ONE could tell him how to change it. THIS WAS THE START OF HIS NEW BEGINNING. What followed was a 16-year journey of personal development courses, study, education, working with coaches and mentors and finding every piece of information possible on resilience, stress and leadership – with an end goal of healing himself and becoming an effective leader in his own life. He now devotes his life to helping others using the knowledge, education and experience that helped him help himself. 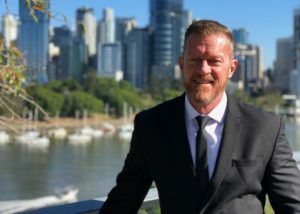 While forging a successful corporate executive career after leaving the Police, Shaun developed and now continues to follow his passion for helping other people. Shaun went on to establish “The Strong Life Project” which includes mentoring, workshops, keynote speeches, books, daily podcasts and blogs focused on providing tools and strategies to empower people to overcome difficulties, conquer challenges, manage stress and live happy and enjoyable lives. Shaun now works as a human behaviour and performance consultant to Police officers & departments, military personnel, corrections officers, first responders, corporate executives, legal professionals, athletes, schools, business owners and individuals, helping them develop behaviours and strategies to manage stress and pressure, build resilience, and become leaders in their lives and workplaces. 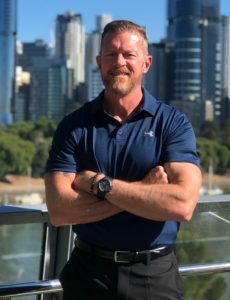 As an accomplished author, Shaun’s most recent book “My Dark Companion” (available on Amazon) chronicles his own highly personal fight with PTSD, depression and suicide, and how he has come out the other side as a role model for people of all walks of life. Shaun’s Keynote Speeches, Mentoring programs, Resilience Building workshops, and Critical Stress Training workshops are second to none. He uniquely combines academic and theoretical content with incredible personal experiences that have a profound effect on those who engage with him. Shaun’s desire to help others has led to countless people not only improving but fundamentally changing their lives. At The Strong Life Project our purpose is to help people and make a difference by delivering practical real-world strategies to deal with stress and build resilience. We want to end emotional pain and suffering for Alpha personalities by helping break down the stigma surrounding mental health. When we proactively deal with our mental and emotional health, like we do our physical health, we create more productive, effective and successful Human Beings. I have overcome many struggles and obstacles in my life, and through this process, I have developed the ability to help other people achieve amazing results for themselves in their lives. We all have challenges in life that we deal with, the story may be different, but the impact is often the same. The isolation and embarrassment that comes from tough times doesn’t need to define you. Everyone faces adversity in their life, we just don’t talk about it and instead we put our effort into maintaining the “mask” of happiness and success. Through my life, my experience and my story I have learned how to LIVE THE STRONG LIFE and I can show you how to live it too.